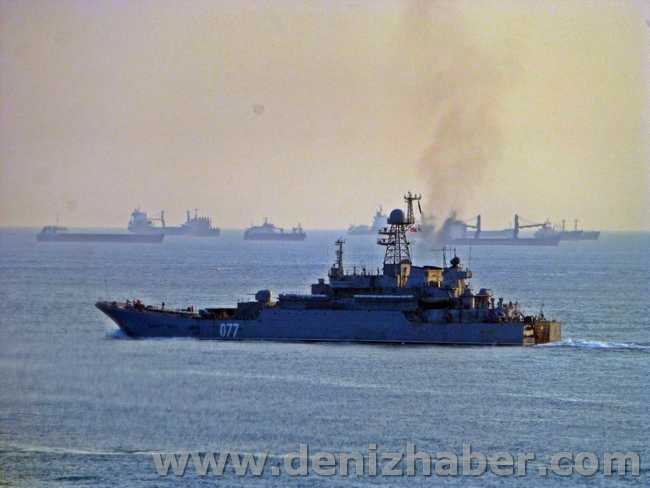 Russian Alligator class landing ship 152 Nikolay Filchenkov, passing through the Bosphorus on her way back to Sevastopol. Photo: Kerim Bozkurt. Used with permission. 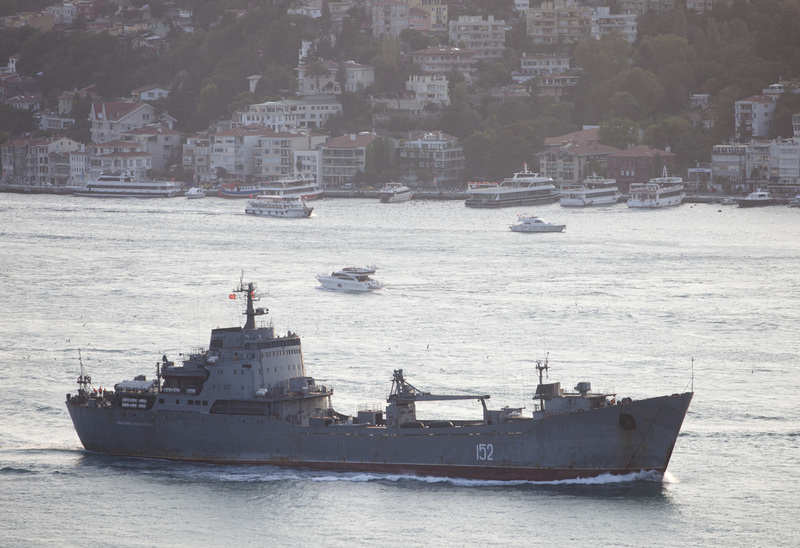 The Alligator class landing ship of the Russian Black Sea Fleet,Nikolay Filchenkov passed on 17 August 2013 through the Bosphorus on her way back to the Black Sea. 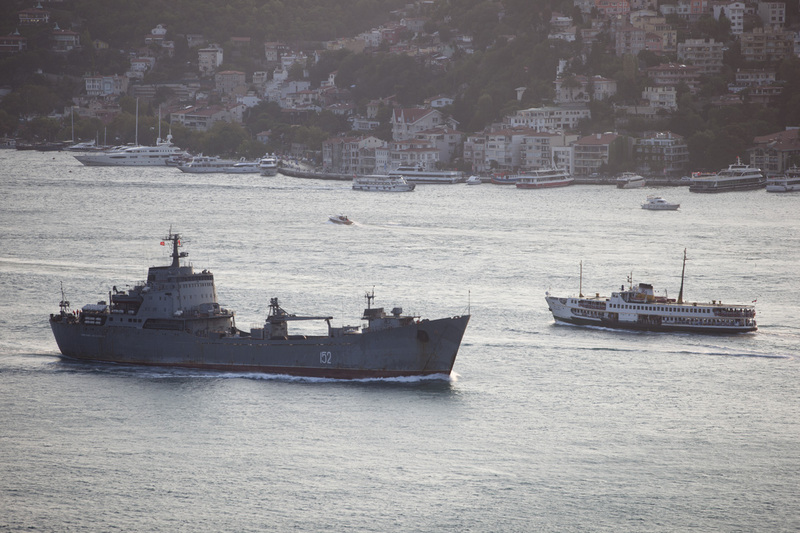 She was last seen in Bosphorus almost 3 weeks ago, again passing to the north. So in the mean time she must have gone south. 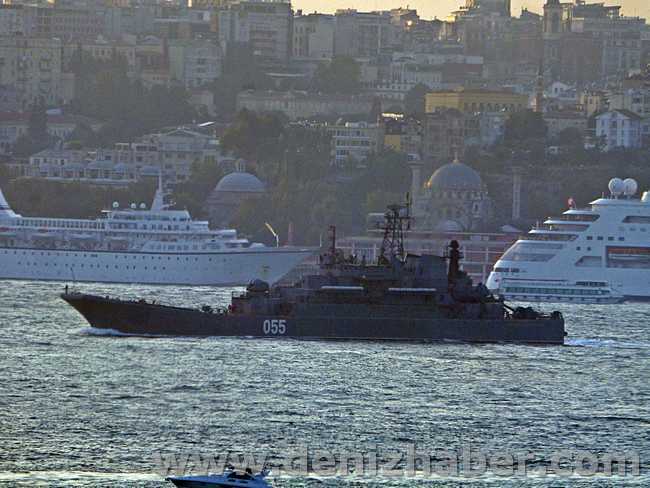 And the Pacific Fleet Ropucha class warships 077 Peresvet and 055 BDK-98 made their southbound passage on late Sunday.